A remote control and five hundred channels. That’s what you’ve got for entertainment, and there’s still nothing on TV. That doesn’t keep you from looking, though, and wishing for something different. Finding entertainment shouldn’t be such a big production – but in decades past, that’s exactly what it took for African Americans, in more ways than one. 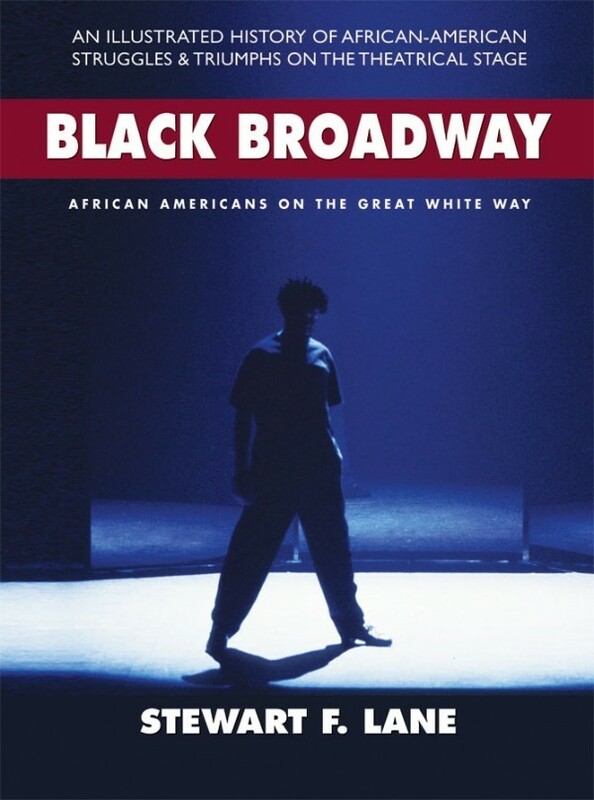 In the new book Black Broadway by Stewart F. Lane , you’ll find out why. When William Alexander Brown decided to retire, he knew where he’d do it: in the two-story home he’d purchased in lower Manhattan . It was 1821 and Brown, a free black man, knew that there were few places for black actors to perform for black audiences, and he planned to allow performances there. The popularity of those performances spurred Brown and a friend to “go a step further” with a 300-seat establishment they named the African Grove Theatre. It, too, was successful, until Brown was forced out of business by a local white theatre owner who feared competition. Not long after the African Grove Theatre was closed, minstrel shows began attracting crowds of both races. Many shows featured white and black entertainers in burnt-cork blackface, as well as comedy sketches and dancing – including many skits satirizing black life and culture. By the late 1800s, vaudeville and burlesque had become popular, and that added increasing diversity to shows. Black entertainers were often included on-stage, and entire productions were created with black troupes, for black audiences. White people, of course, were welcome and did attend; one theatre owner even gave them their own section… in the back of the house. Throughout the years, African Americans – both performers and audience members – made strides, but slowly and with help from the NAACP and the Harlem Renaissance. By the 1930s, Broadway shows included racial issues; by the 1940s, interracial marriage was a common theme. In the 1950s, audiences enjoyed performances dealing with poverty and racism – but it wasn’t until well past the Civil Rights years that black faces became a non-issue on the Great White Way . Loaded with pictures, playbill reproductions, advertisements, and drawings, Black Broadway is a theatre-goer’s delight. But I was equally happy to see that there’s plenty for the historian, too: in addition to a rich narrative on equality for African Americans on Broadway (and off), author Stewart F. Lane includes a running timeline of national and world history to put the main body of this book into perspective. We’re also treated to dozens of short-but-comprehensive profiles of influential performers and people who, though many haven’t graced a stage in decades, are still familiar to followers of theatre, jazz, dance, and music. With all that’s inside this book, give yourself time to browse, read awhile, then browse again and enjoy. Black Broadway is perfect for fans of stage and screen and, of course, when there’s nothing on TV.